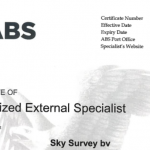 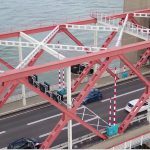 Sky Survey BV has been certified as external specialist by American Bureau of Shipping (ABS). 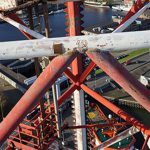 We are awarded to execute Remote Inspection Techniques for their clients. 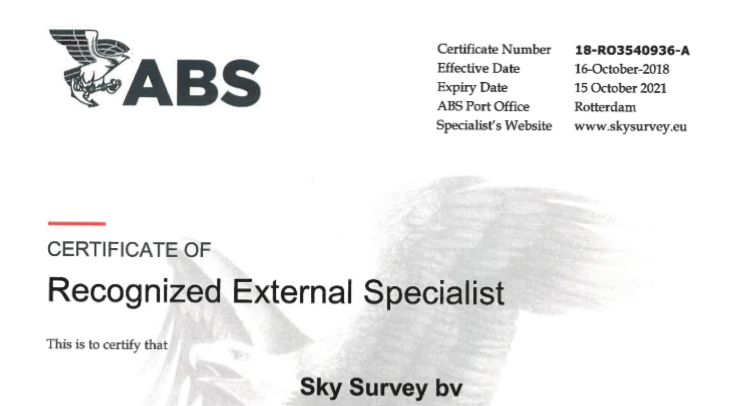 This means vessels, rigs and offshore installations under ABS classification can be inspected by means of our drones.